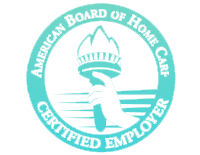 24 Hour Home Care is a proud member of the American Board of Home Care. 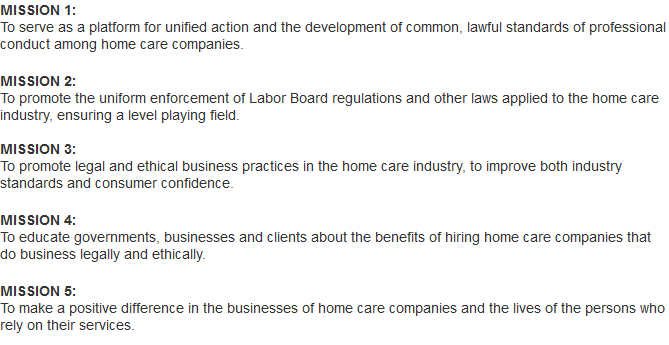 ABHC is a collection of home care companies that was formed in response to a growing concern over organizations that were sending out independent contractors, and performing other potentially dangerous practices to provide in home care to the elderly and those in need. The risks when employing these types of organizations led to the formation of the ABHC. ABHC members are employee based organizations that are responsible for the taxes, payments, and liability for their staff. You can be rest assured knowing that ABHC members are held to the highest quality of hiring practices, including ensuring all employees can legally work in the US and have passed a thorough criminal background check. If for any reason a Caregiver is injured while providing in home care, the ABHC Certified company and workers compensation protects the clients and their families from any exposure to liability lawsuits.